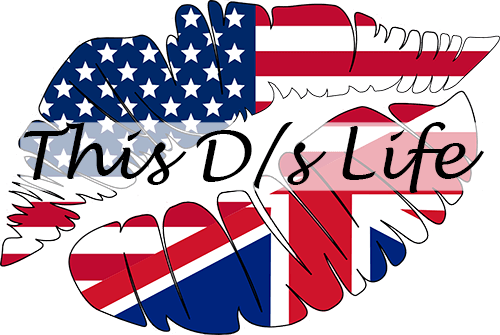 Welcome to the This D/s Life Toy Tour, an occasional feature here where we will introduce our collection one item at a time, and to start the tour off I would like to showcase one of our favorite implements, may I present to you. 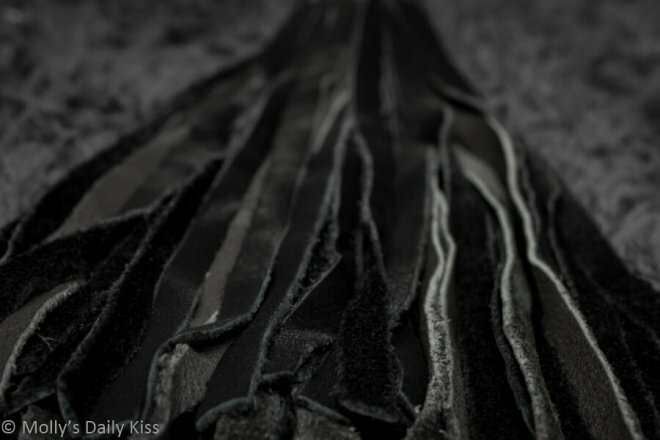 This is my go to flogger, since it was made for my absurdly large hands it feels perfect to grip and the long handle allows me to put a lot of force behind the swings (I like that) It also excels at sensation play as the leather falls are so soft it is hard to believe they will carry any impact at all. But that is merely an illusion. I really enjoy it for long extended play sessions, the rhythm of my arm, the swoosh of the leather as I swing it, the sound it makes (and then the sound she makes) as it lands on her, over and over. It is almost hypnotic. I love this flogger and no sum of money would ever persuade me to part with it. and it smells beautiful, natural, real, earthy. Then of course it delivers my much loved thud, sometimes with a bite in its tail and sometimes not, so there is that slight buzz from the possibility not quite knowing what sensation it will bring. And there is also something special about the fact you had it made especially for you, which makes it feel like you had it made for me…. it is unique, made to your specifications and it is beautifully crafted. It is also the first ‘big purchase’ kink toy you ever made and as such feels like a milestone part of our kink life together. 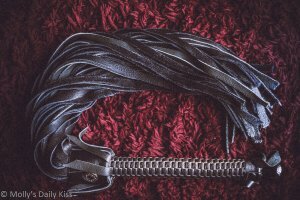 This flogger is much more than a tool to the both of us, it is a well loved part of our D/s relationship. Some of you have had a chance to see and touch this piece of our kit and if you happen to be at EroticonLive this spring you might get to feel its impact, if you ask very nicely. A special thanks to @rubygoodnight who I stole this excellent idea from. I have a flogger similar to your one made by the same person. It is also the most expensive thing I have purchased, and the one thing I always take with me, and treasure. There is nothing quite like a good heavy flogging, It seems to be one of the things I enjoy and can take the most of, It dose worry me a bit as too how much I can take. Perhaps I will have to put that to the rest one day.